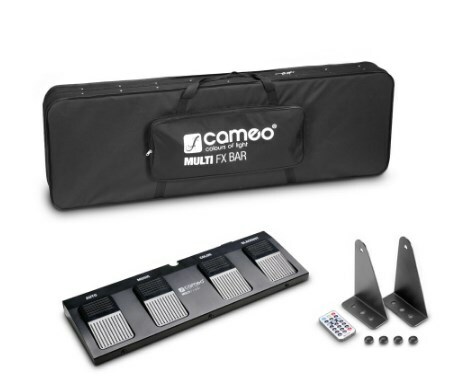 Featuring 5 amazing pre-mounted fixtures, the Cameo Multi FX Bar is the favorable all-in-one solution for mobile DJs, entertainers and bands to spice up their performance with terrific lighting. 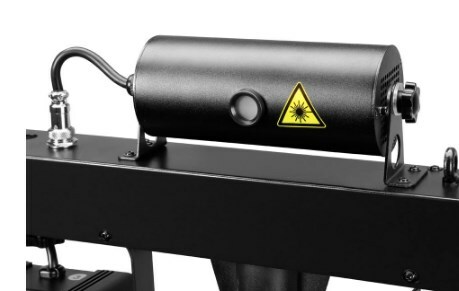 The system combines a pair of flat PAR cans, two LED Derby lights, a laser and strobe plus ultraviolet light for colorful illumination, magnificent rotating beams, impressive grating and stunning slow-motion effects. 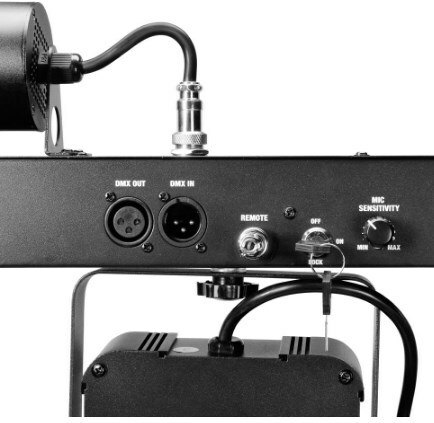 With the integrated pole mount, set-up is straightforward and quick for instant use. 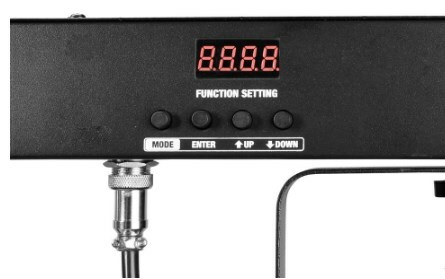 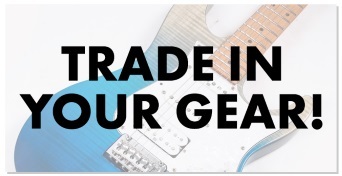 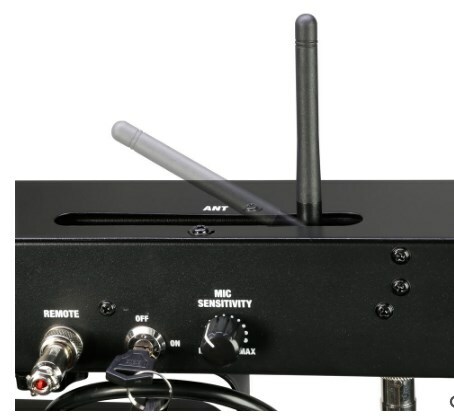 The Multi FX Bar provides a variety of control options via the 4-button display, DMX and the wireless footswitch or handheld infrared remote that are both included. 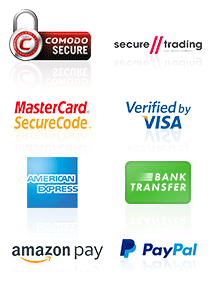 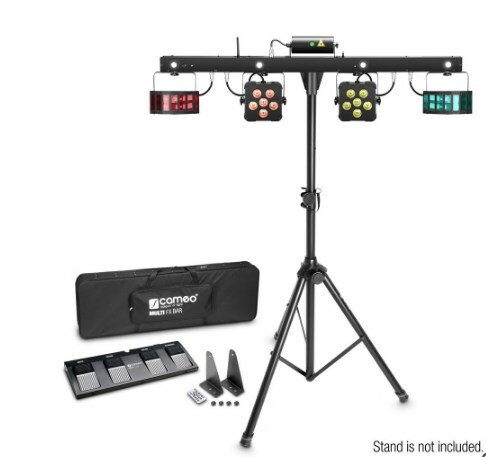 For automatic operation and sound activation, it sports a total of 46 fantastic built-in programs that produce mesmerizing light shows including all 5 effects. 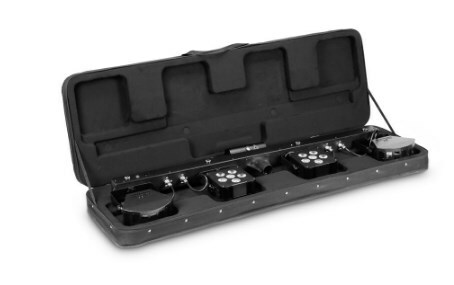 The Cameo Multi FX Bar comes with a rugged carry bag for convenient transport and allows easy daisy-chaining to create larger lighting systems.